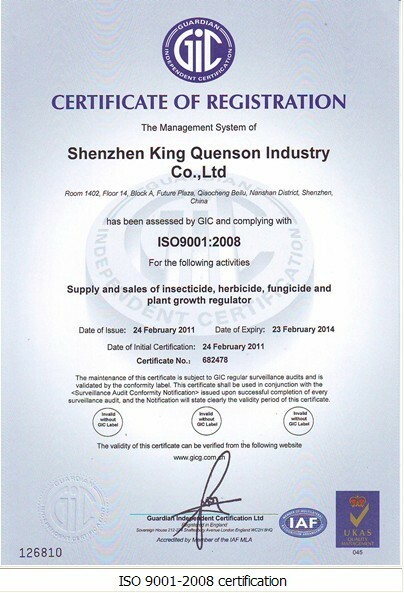 Company Overview - Shenzhen King Quenson Industry Co., Ltd.
11YRSShenzhen King Quenson Industry Co., Ltd.
King Quenson Industry Group Ltd a vigorous and strong complex in the Research & Development, production and sales of the agrochemical products. 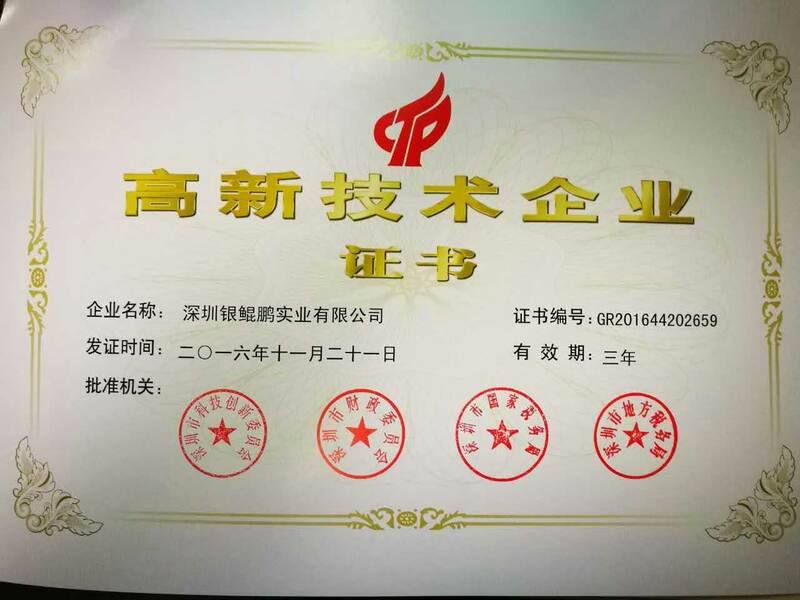 Our factory, originated with two insecticide production lines, has reformed from the traditional state-run system into a modern marketing- oriented enterprise since 1999. 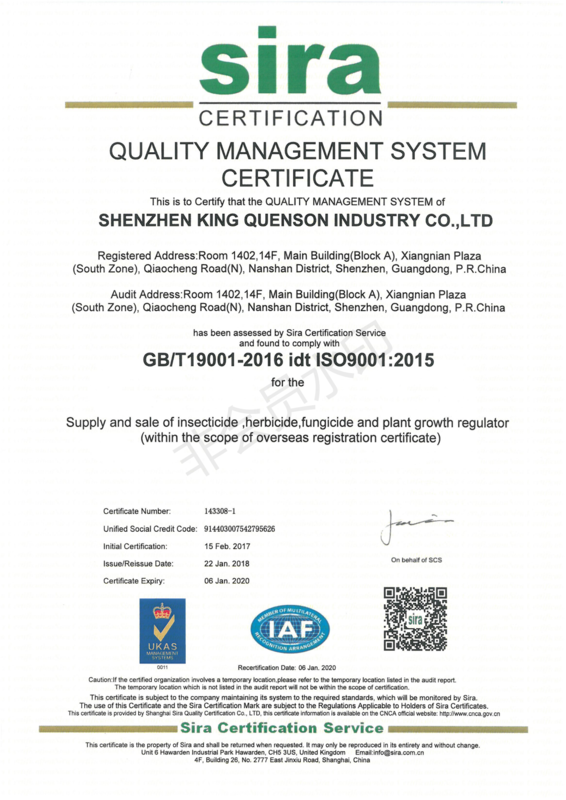 Successively in 2003, we put investment into two production bases in Jiangxi province and Jiangsu province, for the manufacture of fungicide and herbicide. 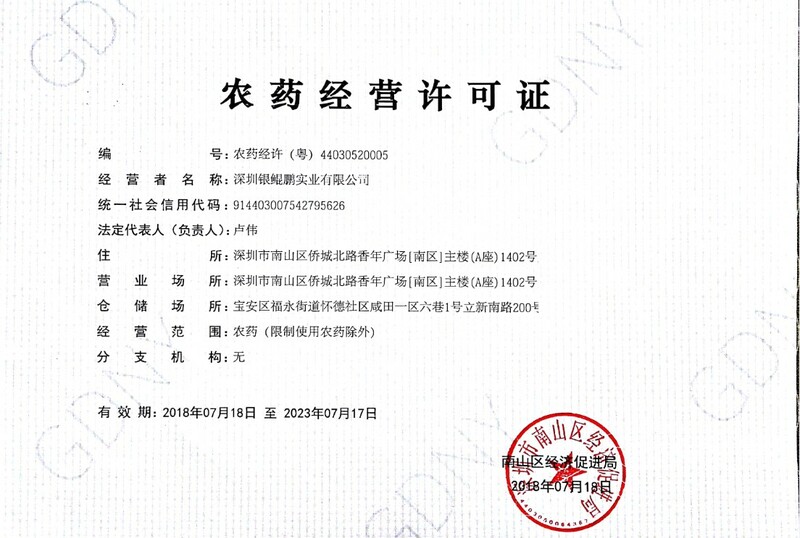 Currently under ISO 9001:2000 and Good Manufacture Practice system, our production capacity of liquid and powder formulation has achieved 18,000 MT and 50,000 K LT annually, covering more than 100 kinds of products and 20 series of formulations. 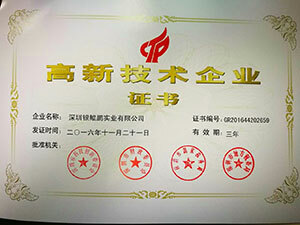 In oversea markets, we have established branch offices respectively in Vietnam, Turkey, Lebanon, Nigeria, Kyrgyzstan and H.K. 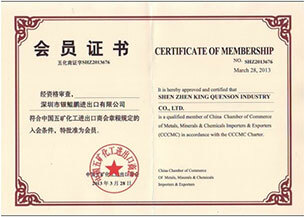 At present, we succeed in over 80 product registrations in over 20 countries. 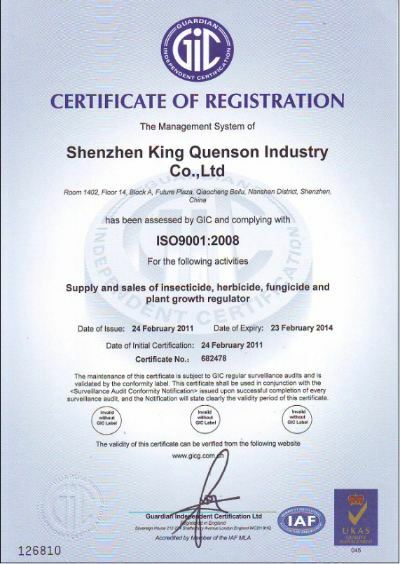 ISO 9001:2015 specifies requirements for a quality management system where an organization needs to demonstrate its ability to consistently provide product that meets customer and applicable statutory and regulatory requirements, and aims to enhance customer satisfaction through the effective application of the system, including processes for continual improvement of the system and the assurance of conformity to customer and applicable statutory and regulatory requirements. 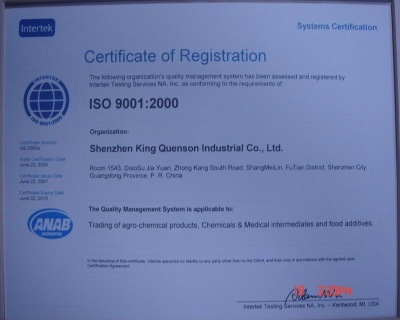 All requirements of ISO 9001:2008 are generic and are intended to be applicable to all organizations, regardless of type, size and product provided. 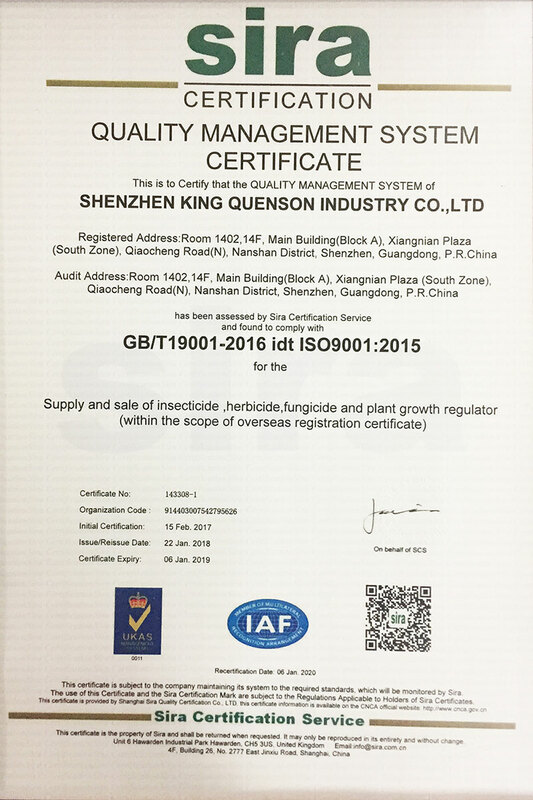 Where any requirement(s) of ISO 9001:2015 cannot be applied due to the nature of an organization and its product, this can be considered for exclusion. 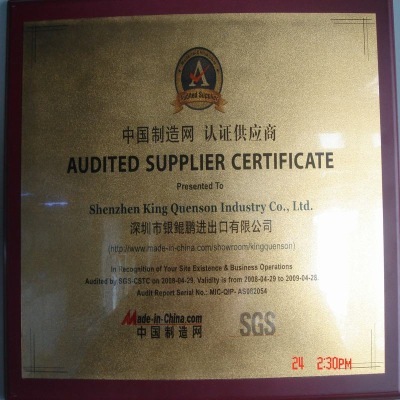 Trading of agro-chemical products,Chemicais & Medical intermediates and food additives. 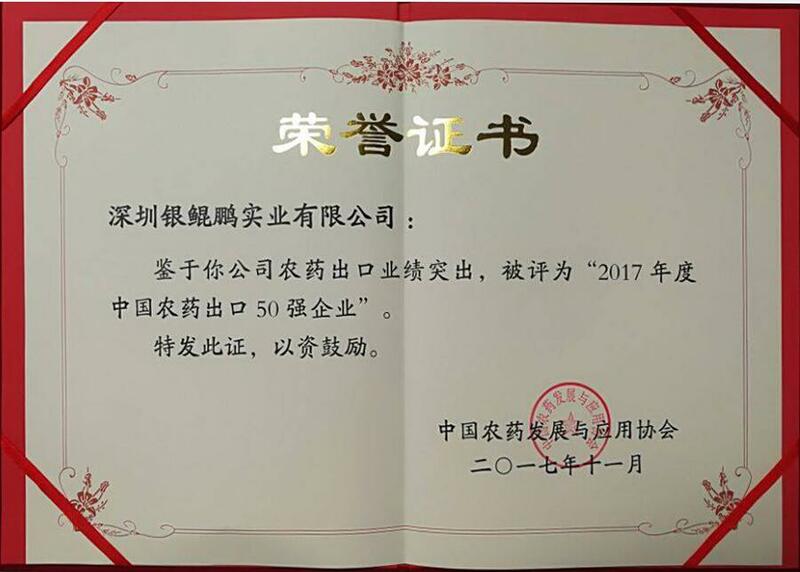 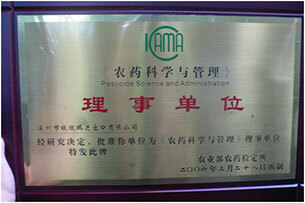 China Pesticide Export Top 50 Enterprise from China Association of Pesticide Development And Application. 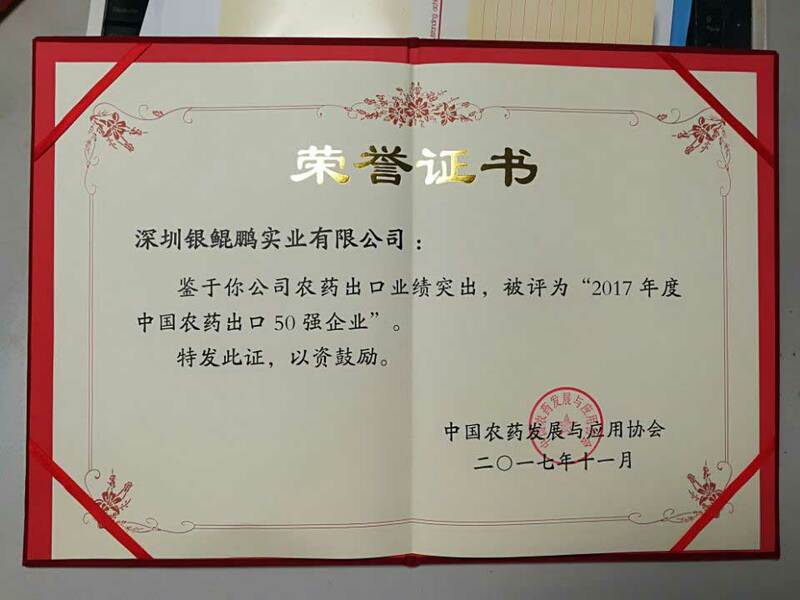 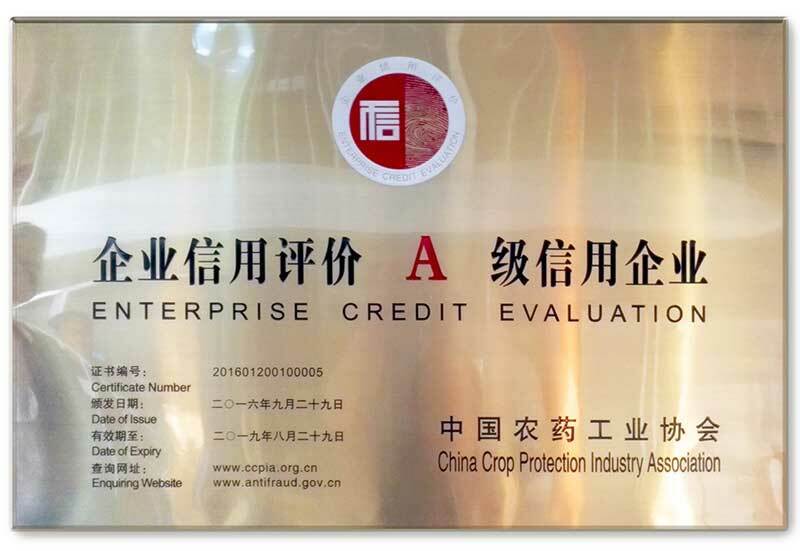 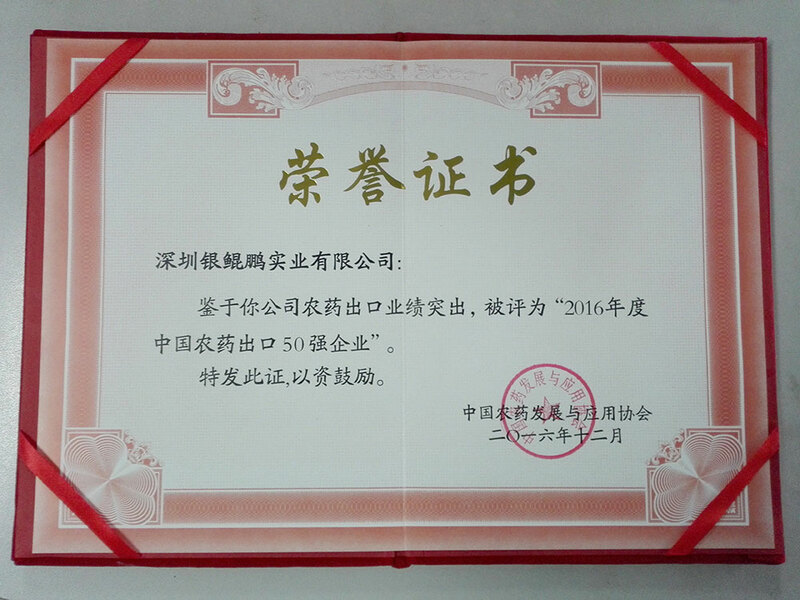 Enterprise Credit Evaluation by China Crop Protection Industry Association.